Shrek the Musical is in town !!! I love Musical ! Give me any musical and i love em ! I love Shrek! How can you not love this cuddly onion-layered green ogre with kind and gentle heart ?!! Not to mention, donkey !!! hehheee.. i love donkey. So, when I heard Shrek the Musical is in town, I was super excited. 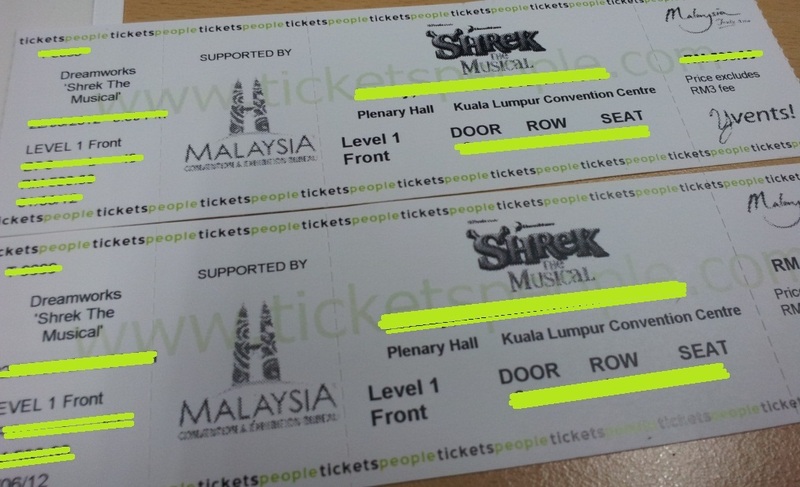 And, when I was offered 2 free tickets to go watch Shrek, I was over the moon !!! Yay – God is good ! The show started yesterday and will continue to be in Kuala Lumpur until the 24th June. It is going to be at the Plenary Hall in Kuala Lumpur Convention Centre (KLCC).